From pictures, the DB2 looks a bit ugly. It appeared simple and oddly arranged, but after opening the box my opinions completely changed. What's hard to capture with camera is how compact the mixer actually is. How does this change things? Well for one in person the mixer by no means looks simple. Clean is how I'd describe it. Also, the off-set EQ knobs many have complained about are actually only offset by half a CM, so it isn't as obvious when you're working with it. Beyond the skewed EQ's, the DB2 takes on a pretty standard layout. Many 'analog' adjustments you'd find on any other mixer, such as channel/cross fader contour adjustment, are found in the easy to navigate digital menu. For most, this is perfectly acceptable... I don't know many people who need on-the-fly contour changes mixing EDM, which is what this mixer is intended for IMO. The DB2 is finished in a very nice matte finish. The rounded corners and printed logo's really look sleek. The body is made of a lightweight aluminum making this mixer lighter than most. Everything feels of high-quality with the DB2. The font/markings/borders on the mixer face are thin, sleek and easy to read. The orange accents add a small amount of pop. In person, the DB2 is one of the sexier mixers I've seen. The faders are decent on the DB2. I must say the channel faders and especially cross fader on my X1600 felt much smoother. This is another reason this mixer appears to ignore other niches such as scratch DJ's. The internal components are protected by a rubber membrane which seems pretty standard in most mixers these days. Although it wasn't a deal-breaker, I was slightly puzzled as to why A&H chose these faders while a company falling under the same umbrella (D&M Holdings owns Denon and A&H) could include buttery contact-free ones in all their new mixers. The fader caps are a textured black plastic with the Xone logo imprinted on one side. The DB2 comes with a few extra caps. The EQ's can be set to one of three modes, those being Isolator, EQ and Filter. In isolator, each EQ is full kill. In EQ mode each EQ can adjust the Low/Mid/High from -26dB > +6dB. In filter mode, the High and Low EQ's become high and low-pass filters with the mid adjusting resonance. The EQ mode is set in the Menu. The VU meters only feature 6 LEDs per channel, but I haven't had any issues maintaining even volume between channels. The main meters function somewhat weird, but after doing some research I found out this is how all Xone mixers operate. In normal cue mode, the meters reflect cue volume once cue has been activated on a channel. In split mode, the left meter monitors cue volume and the right monitors mix volume. It's also important to note that the meter does not change with the adjustment of main mix volume knob. It only reflects the combined volume of mix output from the channels. The DB2 also comes with a few replacement knobs. This is really where the DB2 shines and the main reason I picked it up. The selection of effects and modifiability of each one are unlike anything I've seen. The Vestax PMC-580 pro has 4fx processors, but far less than half the effects. There are a total of 50 effects categorized under DLY (Delay), VRB (Reverb? ), RES (Resonance), MOD (Modulators) and DMG (Damage). A&H reports that more effects will be added in future firmware updates. The effects sound incredible. Some I wouldn't touch, but many standards like delays have magical powers that can pick out individual frequencies to delay. Beyond that, the frequency range each effect actually acts on can be adjusted with visual feedback on the screen. There is also expression adjustment, which is essentially how saturated the effect sounds, and dry/wet, which is more like a volume adjust. The dry/wet knob is huge making adjustment very smooth. Below these knobs is a filter knob which can work in conjunction with active effects or alone when the effect is fully dry. The digital filters sound better than my old denon and pioneer's, but aren't as good as previous analog xone offerings. The Inputs and Outputs on the DB2 should serve most people just fine. The DB2 is limited to only 2 digital INs, but this was not a concern for me. There is only one mic input, but again, this didn't worry me. Under the XLR mic input is a RCA line in. The mic and line cannot be used at the same time. The one thing lacking is a master RCA out - the DB2 only has RCA record out. The difference being master mix volume adjustments do not change record out volume. The same goes for digital record out. There are 2 phono pre-amps which can be applied to the 2 and 3 line inputs. The X-link ethernet port is for syncing other A&H products such as the new K2 controller. It's similar to Pioneer's link feature on their line. The DB2 has both types of headphone ports for cueing which has proved to be quite convenient. The rest can be seen in this pic.. I'll just quickly touch on this.. The input matrix on the DB2 is solid. The rotating selector can select 1, 2, 3 and 4, and the toggle switch can select Ana, USB or Digital. This means 10 different sources (4 rca line, 4 usb and 2 digital line) of audio can be routed to each channel. As mentioned before, this can be useful with effects. You can instantly duplicate the audio from one channel to the next, allowing you to apply 2 different effects to the same song at one time. The DB2 sounds great. I'd say the sound is slightly warmer when compared to my previous Denon DN-X1600, but in all reality the difference is minimal. The internal USB soundcard on the DB2 features 8 INs and OUTs and can be used to allow the DB2 to interface with a computer. It allows you to record mixes straight to a laptop or interface with DJ software. MIDI setup was very easy with the included CD. I had no trouble routing audio from Traktor Pro 2 to the DB2, but latencies had to be set higher than with my Audio 10. I also found my CPU was throttling a lot more with the DB2 hooked up directly. This wasn't a huge surprise as the DB2 is not Traktor certified, but let's hope A&H can fix this with a future firmware update. This is my first mixer from Allen and Heath but it probably won't be my last. The DB2 is a high-quality kit with a carefully selected feature-set that will serve most EDM DJ's very well. The effects pannel is the biggest strong point of the DB2. It easily overpowers the DJM-900 in selection, quality and modifiability. Compared to the dual FX capability of the DN-X1700, the DB2 also comes out on top for the reasons listed in detail above. Luckily for me, the shortcomings of the DB2 aren't of much concern. The main points to consider are the slightly minimal IN/OUT options when compared to other mixers in the same price range and fader feel. As noted before, the channel faders are perfectly acceptable, but the cross fader isn't great, especially for scratching. 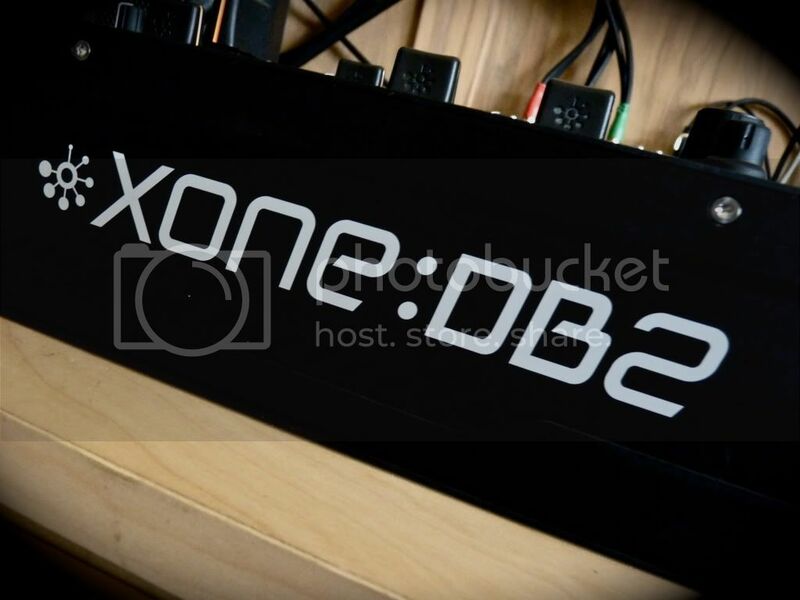 For EDM DJ's looking for an all-purpose 4 channel mixer with an internal selection of effects rivalling most external effects units, please consider the Xone DB2. With so many possibilities, mixing on the DB2 is a highly enjoyable experience. Here's an improv mix I threw together on the DB2. Screwed around with delays and filters in some of the trannies. Pictures sourced from A&H website and my camera. Hey Hoff, i enjoyed reading your Article. What usb cable do you use for your x1 to work? do you connect it to the mixer? or do you have more ports? The X1 has its own USB cable, as does my Traktor Audio 10 soundcard. They are connected to my laptop individually. Hi Hoff, thank you for this article, good read. I do have some questions, since I want to buy a similar set-up as you have. Uhm.. I want to use Maschine for my sample decks, the X1 to loop, use effects etc. 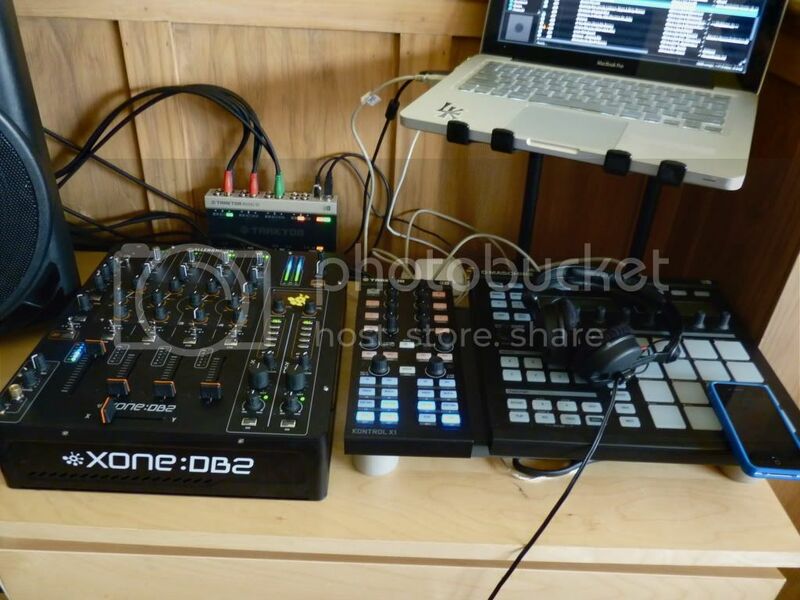 and link the DB2 in such a way it will allow to control Traktor through MIDI. Only my laptop (and yours too) has only 2 USB ports. How do you make this work? Second, I read that the DB2 doesn't require an external soundcard for use with a laptop. Why do you still have one? Sorry for the late reply, Hesselhaus. I use a USB bus extender. It's basically a power bar for USB ports. You can get ones that simply use power from the USB port, or one with its own independent power cord. I'd recommend getting the latter because it's a more stable option when the peripheral you're plugging in is drawing power from the USB port (like the X1). To your second question. Prior to getting the DB2, I already had a NI Audio10 soundcard. The DB2 works directly with Traktor through its internal soundcard, however (and I'm actually not sure if this is still true after the recent DB2 firmware update) it is not 'traktor certified', meaning it is not fully optimized. This means latencies are higher using the DB2 soundcard VS the Audio10. I had no intentions of selling the audio 10 because it lets me gig on any mixer with traktor, so just decided to use that primarily instead. , but just for scratching it doesnt matter a lot... replacing some parts can ficks it. and a little rev on it does also a lot. But ain't the a&H brand mark irritates???? I like the layout a lot and the warm coloration of the unit, good choice. Goodluck with it..